I'm not a fan of "Game of Thrones," mostly because I don't have HBO. I tried reading one of the books on my daughter's Kindle, but I found the writing very pedestrian (YMMV, this is not a judgment on those who like "GOT"). Frankly, I've found a new appreciation for Tolkien. For all that he wrote his story in an arch-"archaic" English, much influenced no doubt by the King James Bible and the tendency for churches to speak in fake Elizabethan tones for centuries after that age had passed into memory (translations of the "classics" suffered this fate, too. In order to sound "serious" they had to sound "old and venerable"), his story was so affecting that even to watch the ending of the final movie (if you know the whole) is to be moved by the characters. Even in the version told by the movies, which is not entirely Tolkien's (and not entirely an improvement on the source material). The special effects and the complicated world (orcs? Rings? Gollum?) fall away, and the characters shine through. The characters are what you care about. Is that because Tolkien is such a good story teller? Or because he's a Christian? The tale of Harry Potter was particularly moving, too; and the ending could only have come from a deeply Christian core. Harry makes a sacrifice; but so does Dumbledore; so does Snape; so, in the final battle, do several characters, major and minor. They don't die, they make themselves a sacrifice, for the sake of others. They struggle against evil (a common theme of modern fantasy) and they learn that in love there is greater strength than in fear and hatred; and that love is much, much harder to live up to, but also much, much more rewarding. In sacrifice they even learn the power of mercy; not unlike the victors at the end of LOTR. In the end, what shines through is not the chaos or the action (well, more so in the movies, perhaps) but the characters. The characters are what you care about. From what I can tell, there is no such strain of mercy and self-sacrifice in "GOT." Season 5 of Game of Thrones has been an exceptionally slow burn, especially in comparison to the previous season, where Joffrey was dead by the end of the second episode. However, we’re finally starting to see momentum gathering, as the characters are being pushed to the brink as we find out what they are willing to sacrifice to achieve victory, and whether the gods will view those sacrifices favorably. I don't know much about the gods of Westeros, but I do wonder if they have prophets to challenge the inhumanity of the kings. Where are the calls for justice, for fair treatment of the widow and the orphan, care for the poor? 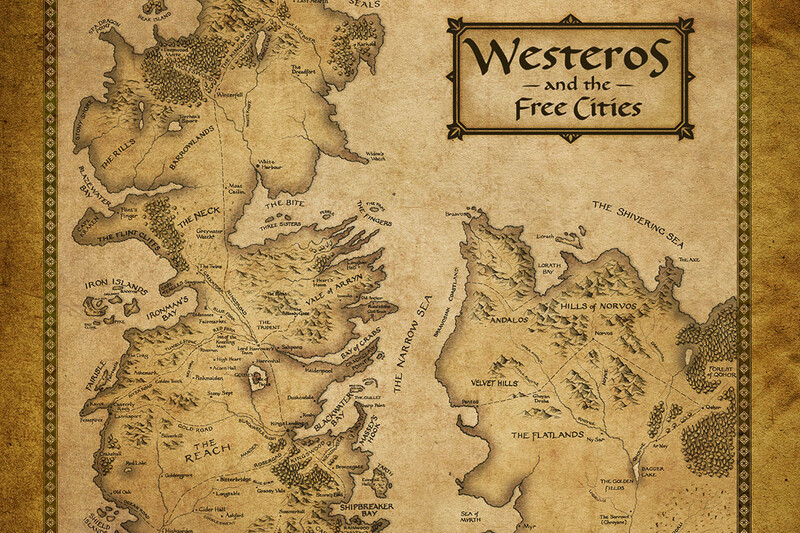 Not a call we associate with medieval Europe (and just how medieval is Westeros? Well, as medieval as our imagined "dark ages Europe," I suppose); although tales of kings crawling through the snow to the home of the Pope to seek absolution from excommunication have filtered through; as well as the English king who used to bath the feet of peasants in honor of his Heavenly Lord, on Good Friday (a custom that didn't last nearly long enough, IMHO). Small points of abject humility before either a spiritual leader, or perhaps more importantly (to us Protestants), a spiritual ideal. And then there is the wisdom, not to say sense of justice, of the Wife of Bath. And while Shakespeare admires (and makes proper obeisance to) power, it is the weak and powerless that most claim his attention, and our sympathies. It is the characters that shine through. Where is that in Westeros? What hope is there of kindness and mercy in Westeros, or is it merely Rome with more petty empires, Italy without central Roman rule but all the lusts and corruption we associate with the Borgias? 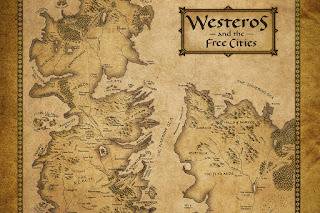 Nothing, again, against Westeros, but if this is how we imagine life truly is: nasty, brutish, and short, even under the rule of what passes for law, if our vision is more Roman than European, then we have to acknowledge the power (and the responsibility) of the Christian church in Western civilization. And just how much, as Vattimo argues, it has been emptied into daily life, and changed us since the days of Rome. We still admire the Roman fasces. Who can doubt it? Our proudest halls and monuments in D.C. are Greco-Roman revival structures. The pediment above the Supreme Court building relies on Roman, not Greek, iconography, including the fasces. E pluribus unum, we say, and we are united by law as the sticks are united by their bindings. We are, under law, benevolent. Rome was quite benevolent. It was tolerant, just as we pride ourselves on being tolerant. But actually, in Rome as now, that was and is mere toleration. Acknowledge the supreme authority of Rome, and you were permitted to worship and live (by and large) as you please. But keep that supreme authority ever before you; preach the wrong ideas and you wind up like Spartacus and his slave rebellion; or like an itinerant peasant healer and preacher in a far east backwater of the Empire. Rome was benevolent; but only so long as it was pleased with you. We don't live that way now. Stephen Pinker insists the "angels of our better nature" have taken over. But there did they come from? The Renaissance? The Enlightenment? Sweet reason? Swift skewered that when Gulliver traveled among the Houyhnhnms. No, sweet reason leads to no finer a morality than utilitarianism, which is merely Roman rule with a kinder, gentler face, feudalism without quite so many landed gentry. Pinker can't imagine that Christianity played a role in this. Which doesn't mean it didn't; it just means he can't imagine it. Is it a coincidence that we have removed religion from the popular eye, or let it be replaced with caricatures like Liberty University and the Duggar family, and so have fallen into despair about both the future (where chaos reigns in automobiles with, most fantastically, no industrial infrastructure whatsoever, but unlimited gasoline supplies?) and the imagined past? I don't know. I don't really want to be an old bible-thumper preacher finding sin the popular culture and inveighing against it. I just wonder how we set aside the brutality of Westeros in history, or how we imagine that brutality changes in the fictional world of "Game of Thrones," with nothing to avail us except that "might makes right." One of the results of the English reformation under the Tudors was the destruction of what there was of a welfare system, administered by churches and abbeys and convents. William Cobbett attributed the long and horrible history of the English and then the British treatment of poor people to first the looting and emptying then the destruction of the abbeys, convents, hospices, etc. by the Royals and nobles and favored aristocrats with the impoverishment of both the destitute and then the poor of Britain. Later under Elizabeth I the first Poor Law outlawed destitution as brutally as its ever been and set up entirely inadequate substitute for the medieval system her father destroyed which would exacerbate the hatred of the haves for the have nots and their progressively worsening lot, including the vastly increased use of hanging for the theft that was an inevitable result of that impoverishment and destitution. But it took the scientific approach of, first, Malthus to make the even worse New Poor Law and then under Darwinism to make the idea of mass gassing of poor people, the lame, the unintelligent, etc. a popular idea. I've looked into that more and the extent to which that idea was common among the intelligentsia before the rise of fascism and Nazism is really shocking. And it continues in the Republicans and other Antichristians, now.